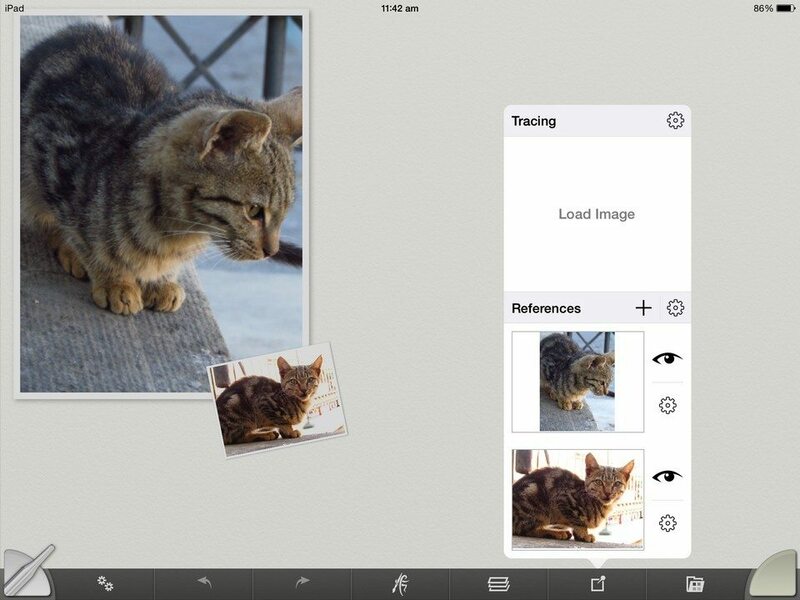 You can import photos and other pictures as tracing or reference images, to help you draw more easily. 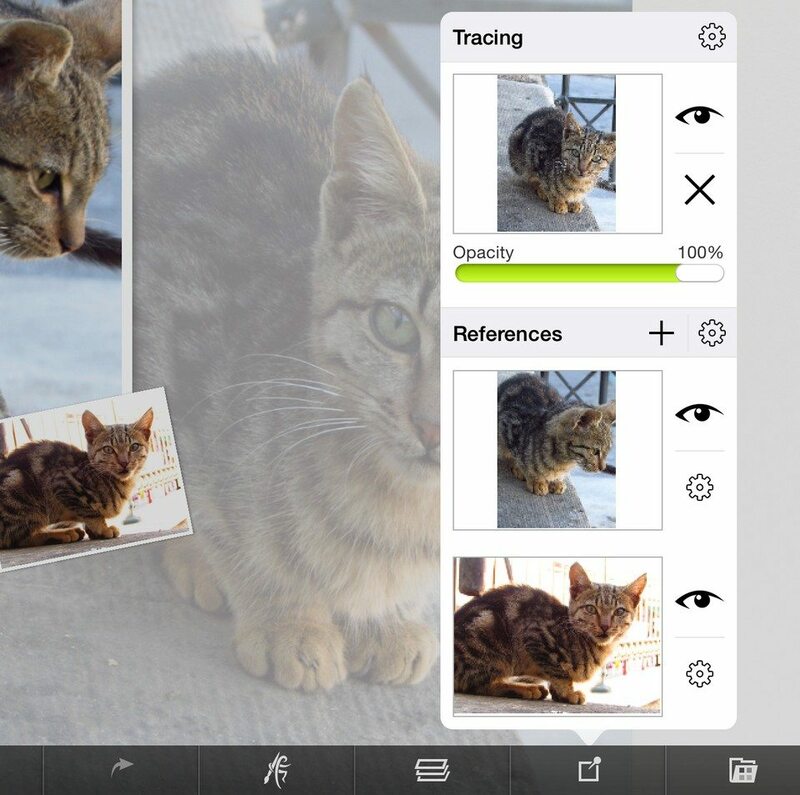 Tracing Images are images overlaid on the ArtRage canvas to act as a guide while you are painting. The image is partially transparent on top of your paint so you can still see what you are painting beneath. Tracing images will appear as an overlay on your painting. When you load a Tracing Image ArtRage turns on Automatic Color Sampling. When this option is turned on, every paint stroke you make is given a color based on the Tracing Image where the stoke started. This option can be turned on or off using the cog Menu Button on the Tracing panel. Draw under your tracing image. You can use the tracing image colors or switch back to the normal color picker. Reference Images are images that are pinned to your canvas while painting. Like Tracing Images they act as a guide while you work. You can pin more than one Reference to your canvas and each one can be shown or hidden independently. A single finger tap on a Reference brings up a menu of options for that image. A single finger tap and drag samples color from the Reference. You can resize, rotate and move References using two fingers. 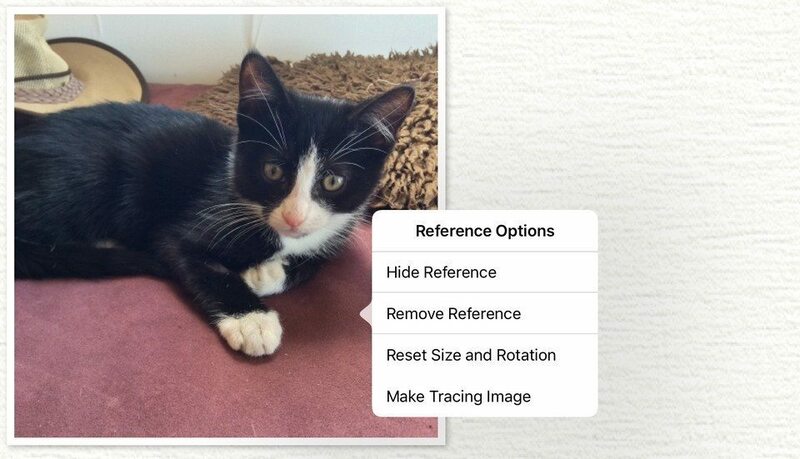 The References Panel displays your current Tracing Image and any Reference Images you have loaded. The controls at the top are used to adjust the Tracing Image, including settings its scale and transparency, whether ArtRage samples color for you automatically from it, and showing or hiding it. Underneath that is a list of current Reference Images. Each Reference has its own show / hide button and a menu of options.